Yes it is out Today! Last edited by Rubber Duck; 24th October 2006 at 07:42 AM..
Ah the Beeb - the news before it happens. It was actually uploaded to the FTPs yesterday. I assume the foreign language versions of FF will not be supporting native character resolution of IDN.com. No idea, but in the short-term it is likely to have little impact. Uptake of previous version in Asia was negligible. Do we know what languages are going to be supported? That is quite impressive and although there is no Hindi the fact that they have already done Gujarati for the RC3 is very encouraging indeed. Would suggest an underlying commitment to do the other Indian Scripts. The other mission critical languages are all there. Firefox to launch a 17:00 PST. 36 Languages are available at launch. Now I understandd why dot jps & cns always show Punycode & dot com, net, cc, & TV don't in FireFox. Good Post this had me puzzled. I think some search engines have adapted some of this into their algorythms. Verisign's policy is to implement ICANN's policy. Why is that not acceptable? Are Mozilla playing politics here? It would strike me to do it this way is to ensure that IE7 will become de facto standard, as FF will be no use to anyone. * It is based on simple and non-political principles. *It is based on a much more thorough analysis of the problem than the earlier ICANN proposals, and builds on the experience of the Unicode community, and the earlier analysis of the spoofing problem for the CJK languages performed for RFC 3743. For example, simple script restrictions alone, as per ICANN, do not solve the problem -- there are plenty of subtle homographs in the Latin alphabet. *It does not treat IDNs as second-class citizens. *And, most of all, it uses human, and not technical, means to provide a chain of trust from the registry to the application to the user.
" No, we have. Not. Released. Firefox. 2. Yet. " That's why the mozilla page was not updated. But it will be released soon, I've learned. Nine and Half hours from Now, I understand in 36 Languages and everything bar dot com and net will resolve properly. Last edited by Rubber Duck; 24th October 2006 at 06:02 PM..
Last edited by Ben; 24th October 2006 at 11:52 PM..
At first I thought it was strange that Firefox 2.0 is available in Punjabi and Gujrati for Indic scripts but not Hindi since Hindi is more widely used. I read up a bit about how they work and found out that languages are only available where they were volunteers to put things together. I suppose they got no help from a qualified Hindi expert with their international project. QUOTE=Rubber Duck]That is quite impressive and although there is no Hindi the fact that they have already done Gujarati for the RC3 is very encouraging indeed. Would suggest an underlying commitment to do the other Indian Scripts. Thanks for that! 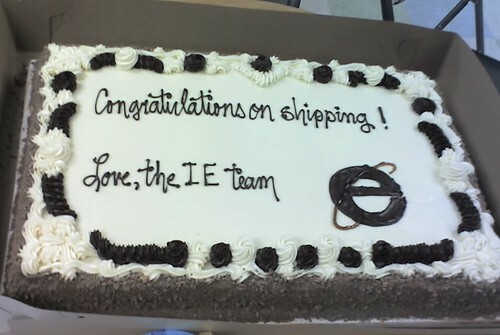 Hopefully it will be enought to motivate the IE team to greater and better things. None of this actually means anything unless they can reach out to Hinterland of Asia. I somehow doubt that is happening.